Fastcashcom.com collects both “personally identifiable information” and “non-personally identifiable information” from or about users of its web sites. Fastcashcom.com collects several types of information that may identify a particular individual (“personally identifiable information”). We collect personally identifiable information when you provide it to us through your use of the site, such as by completing one or more stages of an application form to apply for a loan from a lender participating in our lender network (“participating lenders”) or by sending questions to us via the web site. The types of personally identifiable information we collect include: name, physical address, telephone number, social security number, email address, date of birth, driver’s license number and state, information about home ownership, citizenship status, employment information, active military information, amount and frequency of pay checks, and information about your banking account. Fastcashcom.com may share this non-personally identifiable information only in summary form with its suppliers and other third parties for the purpose of web site statistical and trend analysis. This information is not linked to any personally identifiable information that can identify an individual person. We may allow third parties, including advertising partners and payday loan lenders, to display advertisements on our site. These companies may use tracking technologies, including cookies, to collect information about users of our site who view or interact with these advertisements. Fastcashcom.com does not provide personally identifiable information to these third parties. 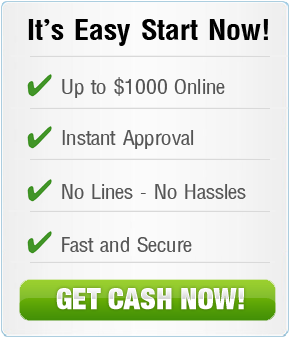 Fastcashcom.com may share your personally-identifiable information (including, without limitation, your financial account information and social security number) with lenders participating in our lender network and other third party lenders with whom we have a business relationship. These third party lenders may use your personally-identifiable information to offer you a payday loan or to communicate with you about other business or marketing offers. In addition, we may share your personally identifiable information (not including your financial account information and social security number) with unaffiliated third party marketers and list managers with whom we have a business relationship. Fastcashcom.com will disclose your personally-identifiable information in response to a subpoena or similar investigative demand, a court order, or a request for cooperation from a law enforcement agency or other government agency; to establish or exercise our legal rights; to defend against legal claims; or as otherwise required by law. We will disclose your personally-identifiable information when we believe disclosure is necessary to investigate, prevent, or take action regarding illegal activity, suspected fraud or other wrongdoing; to protect and defend the rights, property, or safety of our company, our employees, our web site users, or others; or to enforce our website terms and conditions or other agreements or policies. In addition, in the event that all or substantially all of Fastcashcom.com’s stock and/or assets are transferred or sold to another entity, Fastcashcom.com may transfer personally-identifiable information to the acquiring entity. Fastcashcom.com’s policies, content, information, promotions, disclosures, disclaimers and features may be revised, modified, updated, and/or supplemented at any time and without prior notice at the sole and absolute discretion of Fastcashcom.com. Changes to this Policy will be posted on the Fastcashcom.com web site and we will revised the “last updated” date at the top of this policy. You should review this Policy each time you access the web site. If we make any material changes in the way we collect, use, and/or share personal information that may impact you, we will notify you by sending an email to the email address you most recently provided to (unless we do not have an email address for you) and/or by prominently posting notice of the changes on this web site. Fastcashcom.com has put in place physical, procedural, and technological security measures to help prevent unauthorized access to and improper use of the information we collect online. For example, only authorized employees and authorized third parties are permitted to access personally-identifiable information, and they may do so only for permitted business functions. No web site or Internet network can be completely secure. Although we take steps to secure your information, we do not guarantee, and you should not expect, that your personal information, searches, or other communications will always remain secure.